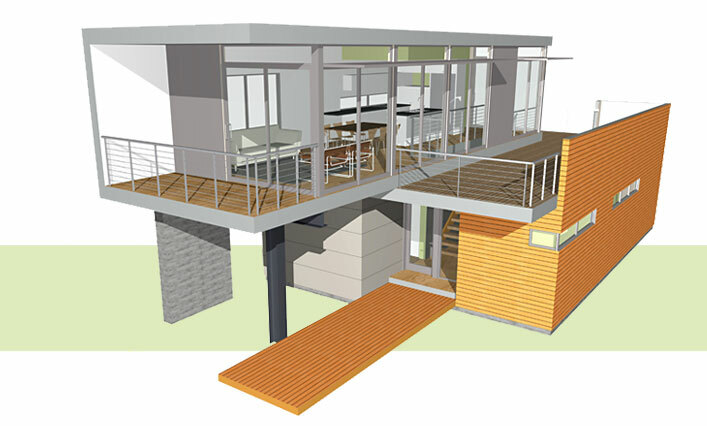 Our prices are an estimated total cost of a completed pieceHome on the West Coast in an urban area, with good access, soils and utilities within 50' of the house, using a Standard pieceHomes plan and pH Balance Finish Package and specification. Pricing depends on many variables and unknowns and maybe higher -- or lower -- in your area. Please use the following information as a guide for preliminary budgeting. Developers: a cost savings of $30/sf can be realized for orders of three or more units to the same location. * This is a general guideline for estimated pricing to be used in preliminary budgeting. This is not a price guarantee. Optional items are an added cost and estimated per project. Note: Our Premium line of homes are on the order of $290 - $315 and up. pieceHomes arrive at the site as complete modules including plumbing, electrical wiring, finished cabinets, some or all appliances installed, and yes, the kitchen sink. When comparing our pricing to other prefabs, make sure you are comparing apples to apples as our square foot cost includes items that other companies do not. The price of the home can fluctuate depending on material selection, site location and soil conditions. You will know your final price before signing the construction contract. Not included in our pricing are land, soils testing, site survey, septic, water or propane system, if required, garage or carport, hard-scape, landscaping, or furniture. Disclaimer: In order to continually improve pieceHomes, pieceHomes/Davis Studio Architecture + Design reserves the right to adjust plans, square footage, specifications, materials, features and colors without notice. 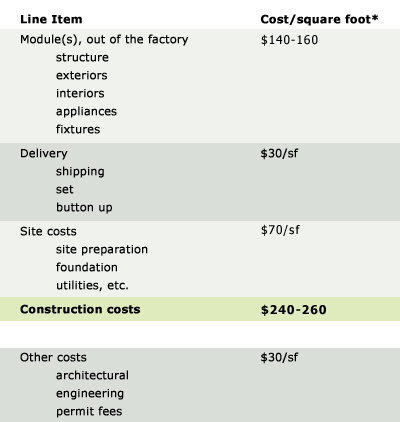 Square footage costs are a projected cost and are based on materials specified by Davis Studio Architecture + Design and assume ideal on-site building conditions and do not include any green technology upgrades such as solar panels. Pricing and availability are subject to change. All references to prices, in this document or by a pieceHomes representative, are estimates based on current knowledge and material costs. All references to size, height, and square footage are approximate.